Brunswick Heads Creative is a fun, functional and flexible shared space positioned in the picturesque seaside village of Brunswick Heads, just north of Byron Bay. The boutique space is for professional coworking by day, and a place of community happenings afterhours – somewhere to connect, collaborate and come together. 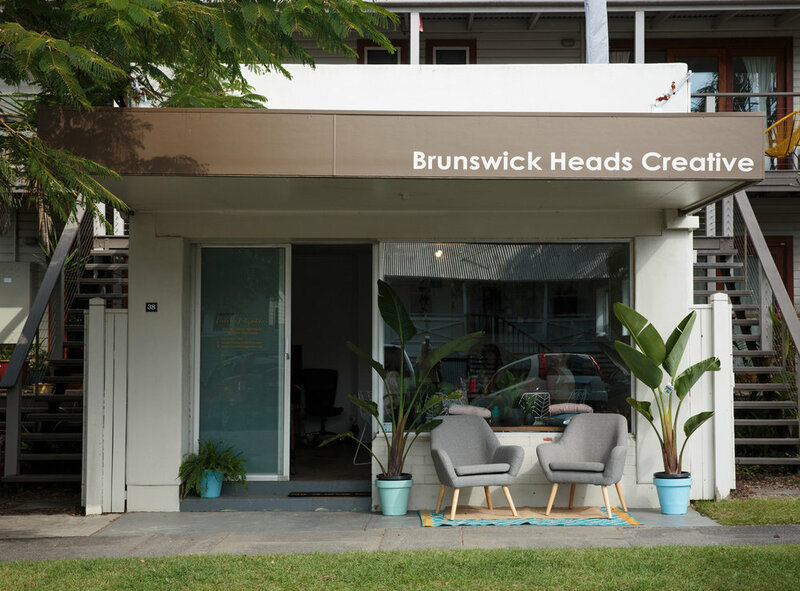 Brunswick Heads Creative’s comfortably intimate space is perfectly positioned in the up and coming village of Brunswick Heads. Nestled by the countless cafes and just a stone’s throw from the picturesque river and beach, that our little town is renowned for. We invite you to make the most of the towns relaxed environment and its ease of access to the attributes of the Byron Shire and surrounds.